The Photograph: Sacred Object no Longer? I’m not sure why The Economist would cover a small photographic show in Austin, Texas, but “The Image Wrought: Historical Photographic Approaches in the Digital Age” sounds well worth a detour if you’re anywhere near there between now and August 6th. 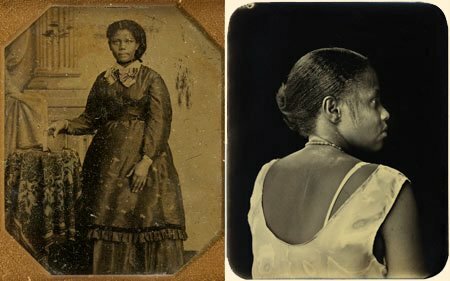 It offers further proof that “alternative” processes like tintype, daguerreotype, collodion, and gum bichromate are not only alive and well, but are mating with digital technology to create a new generation of hybrids. So how long till scanned Tri-X begins to feel like cutting-edge retro? "So how long till scanned Tri-X begins to feel like cutting-edge retro?" It might seem like a little show in an out of the way place, but the Ransom Center at the University of Texas has big cash (read: oil) and puts it to work. They even own the world's first photograph.